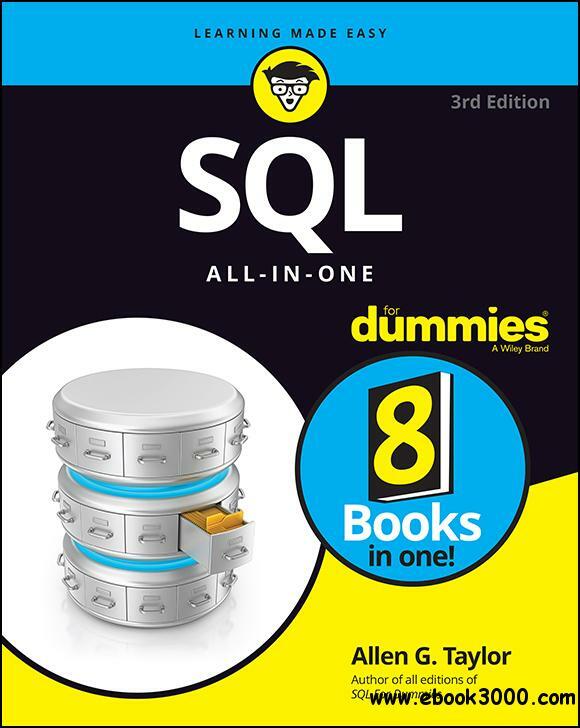 Download Torrent "SQL All-In-One For Dummies, 3rd Edition - 2019 - EPUB - zeke23"
SQL All -In-One For Dummies, 3rd Edition, is a one-stop shop for everything you need to know about SQL and SQL-based relational databases. Everyone from database administrators to application programmers and the people who manage them will find clear, concise explanations of the SQL language and its many powerful applications. With the ballooning amount of data out there, more and more businesses, large and small, are moving from spreadsheets to SQL databases like Access, Microsoft SQL Server, Oracle databases, MySQL, and PostgreSQL. This compendium of information covers designing, developing, and maintaining these databases. SQL All-In-One For Dummies is a timely update to the popular reference for readers who want detailed information about SQL databases and queries.